The Bonita Springs Fire Control and Rescue District recognizes the need to be able to incorporate and utilize volunteer help during certain emergency or disaster situations. Bonita Springs Fire-Rescue has taken a proactive stance in this area by training citizens to be part of a CERT. CERT graduates will be better prepared to respond and cope with the aftermath of natural or manmade disasters. Neighborhood groups receiving CERT training will become a team that can develop plans to help themselves and other residents when a disaster strikes. Topics such as Introduction to Disasters, Disaster Medical Care, Fire Suppression, Search and Rescue and Disaster Planning will be taught to all who attend. Members can provide crucial support and direction to their development or neighborhood. CERT members are encouraged, but not obligated to use their training, skills, and equipment in disaster situations or to assist their friends and family while awaiting the arrival of trained professional emergency responders. The Bonita Springs Fire Control and Rescue District CERT program is designed to support and integrate into disaster plans. 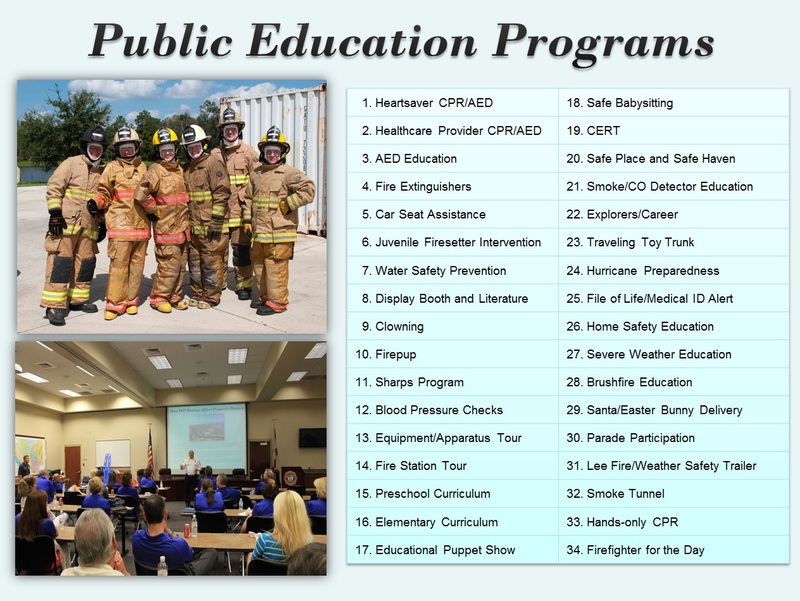 The CERT program is intended to be a partnership between the District and local neighborhoods or Bonita Springs’ communities that will ultimately reduce the death, injury, and property loss caused by major disasters. Classes will be held from 8:30 a.m. until 5:00 p.m., respectively and are taught at Bonita Springs Fire-Rescue Station Four at 27701 Bonita Grande Drive. Cost: The certification is $20 for all participants. Lunch is on your own on the first day. Lunch is provided on the second day. Attire: Most of the course will be indoors. A light sweater might be needed for those who chill easily. For those times that we will be outdoors, please dress according to local weather. How long have you lived in Florida? Do you reside in Bonita Springs seasonally? What is your current/previous occupation? This is my first time taking the class. I've taken the class before.